From Thursday 14 March 2019 Rocio teaches the evening classes in the odd weeks. Sandra teaches in the even weeks. From today, 1 March 2018, it is possible to buy a session card for 20 group classes Pilates. 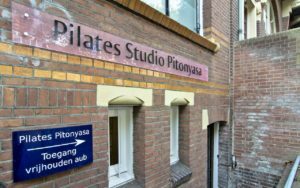 Pilates Pitonyasa has won the Dutch Fitness Award 2017, personal trainer of Arnhem. This price is received with pride on 21 May 2017 during the joyful event. In January 2016 Pilates Studio Pitonyasa starts with MVe classes. MVe classes are Pilates group classes for 3 to 4 persons with a Pilates apparatus, the chair. In these classes techniques from the matclasses will be refined. Beside these you are challenged in coordination, control and balance.